The station began operating in March, playing a pivotal role in Chinaâs audacious expedition to the far side of the moon. QUINTUCO(ARGENTINA): The giant antenna rises from the desert floor like an apparition, a gleaming metal tower jutting 16 stories above an endless wind-whipped stretch of Patagonia. The 450-ton device, with its hulking dish embracing the open skies, is the centerpiece of a $50 million satellite and space mi ssion control station built by the Chinese military. The isolated base is one of the most striking symbols of Beijingâs long push to transform Latin America and shape its future for generations to come â" often in ways that directly undermine the United Statesâ political, economic and strategic power in the region. The station began operating in March, playing a pivotal role in Chinaâs audacious expedition to the far side of the moon â" an endeavor that Argentine officials say they are elated to support. But the way the base was negotiated â" in secret, at a time when Argentina desperately needed investment â" and concerns that it could enhance Chinaâs intelligence gathering capabilities in the hemisphere have set off a debate in Argentina about the risks and benefits of being pulled into Chinaâs orbit. 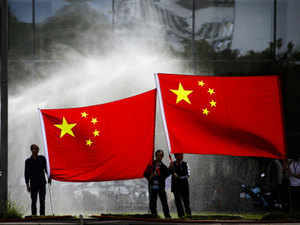 âBeijing has transformed the dynamics of the region, from the agendas of its leaders and businessmen to the structure of its economies, the conten t of its politics and even its security dynamics,â said R. Evan Ellis, a professor of Latin American studies at the U.S. Army War College. For much of the past decade, the United States has paid little attention to its backyard in the Americas. Instead, it declared a pivot toward Asia, hoping to strengthen economic, military and diplomatic ties as part of the Obama administrationâs strategy to constrain China. Since taking office, the Trump administration has retreated from that approach in some fundamental ways, walking away from a free-trade pact with Pacific nations, launching a global trade war and complaining about the burden of Washingtonâs security commitments to its closest allies in Asia and other parts of the world. All the while, China has been discreetly carrying out a far-reaching plan of its own across Latin America. It has vastly expanded trade, bailed out governments, built enormous infrastructure projects, strengthened military ties and locked u p tremendous amounts of resources, hitching the fate of several countries in the region to its own. Even with parts of Latin America shifting to the right politically in recent years, its leaders have tailored their policies to fulfill Chinaâs demand. Now Beijingâs dominance in much of the region â" and what it means for Americaâs waning stature â" is starting to come into sharp focus. âItâs a fait accompli,â said Diego Guelar, Argentinaâs ambassador to China. Trade between China and countries in Latin America and the Caribbean reached $244 billion last year, more than twice what it was a decade earlier, according to Boston Universityâs Global Development Policy Center. Since 2015, China has been South Americaâs top trading partner, eclipsing the United States. Perhaps more significantly, China has issued tens of billions of dollars in commodities-backed loans across the Americas, giving it claim over a large share of the regionâs oil â" in cluding nearly 90 percent of Ecuadorâs reserves â" for years. Here in Argentina, a nation that had been shut out of international credit markets for defaulting on about $100 billion in bonds, China became a godsend for then-President Cristina FernÃ¡ndez. Frank A. Rose, an assistant secretary of state for arms control during the Obama administration, said he spent much of his time worrying about Chinaâs budding space program. U.S. intellige nce and defense officials watched with alarm as China developed sophisticated technology to jam, disrupt and destroy satellites in recent years, he said. âThey are deploying these capabilities to blunt American military advantages, which are in many ways derived from space,â Rose said. Antennas and other equipment that support space missions, like the kind China now has here in Patagonia, can increase Chinaâs intelligence-gathering capabilities, experts say. But Gu elar argued that hitting the brakes on engagement with China would be shortsighted, particularly at a time when Washington has given up its long-standing role as the regionâs political and economic anchor. Enter China. First, it struck a $10.2 billion currency swap deal that helped stabilize the Argentine peso, and then promised to invest $10 billion to fix the nationâs dilapidated rail system. In the middle of all this, China also dispatched a team to Arge ntina to discuss Beijingâs ambitions in space. China Satellite Launch and Tracking Control General, a division of the countryâs armed forces, settled on this windswept 494-acre patch in Argentinaâs NeuquÃ©n province. FÃ©lix Clementino Menicocci, secretary-general of Argentinaâs National Space Activities Commission, a government agency, said the Chinese had pitched officials with promises of economic development a nd the prospect of enabling a history-making endeavor. âTheyâve become major players in space in the span of a few years,â Menicocci said of Chinaâs space program. After months of secret negotiations, NeuquÃ©n province and the Chinese government signed a deal in November 2012, giving China the right to the land â" rent free â" for 50 years. When provincial lawmakers caught wind of the project after construction was underway, some were aghast. Betty Kreitman, a lawmaker in NeuquÃ©n at the time, said she was outraged that the Chinese military was being allowed to set up a base on Argentine soil. âSurrendering sovereignty in your own country is shameful,â Kreitman said. Commenting feature is disabled in yo ur country/region. He will die in my arms if I don't pay Rs 4.5 lakh. Help now.